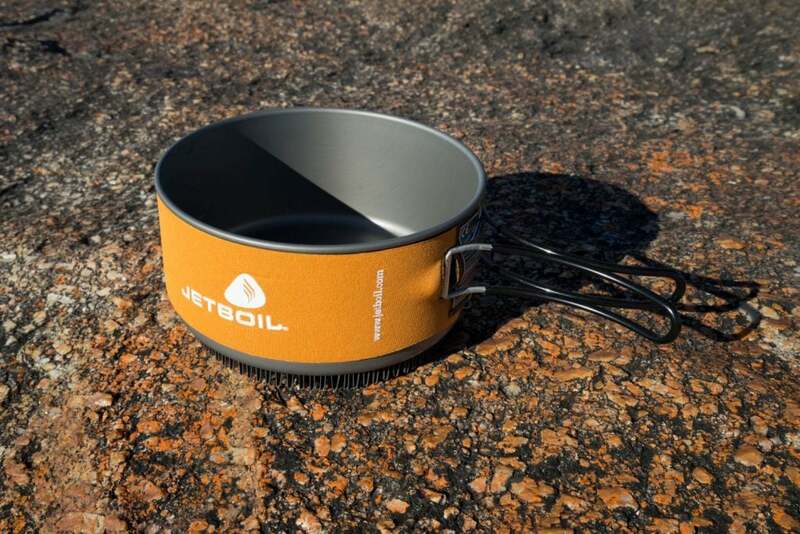 From their launch in 2001 Jetboil stoves have been about the fastest and easiest stoves around. 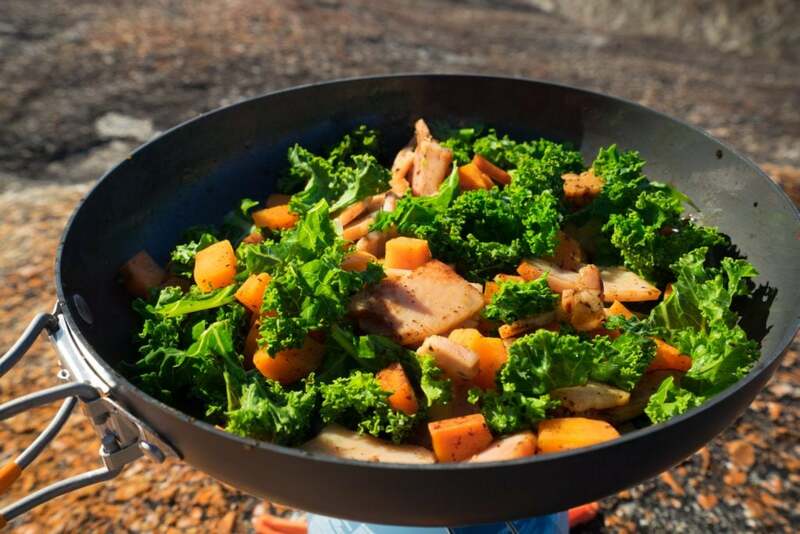 With the addition of a regulator in their MiniMo they have also mastered the art of the simmer, opening up a world of culinary creation. 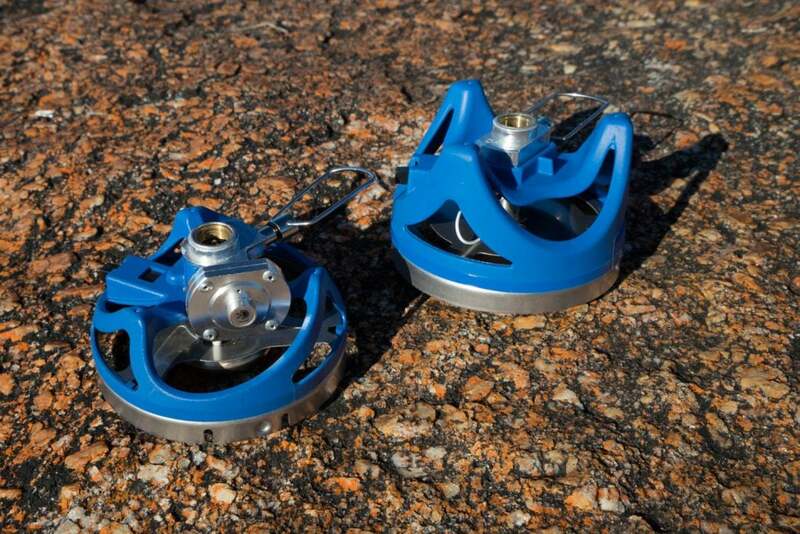 MiniMo burner with regulator (left) and Flash burner without (right). 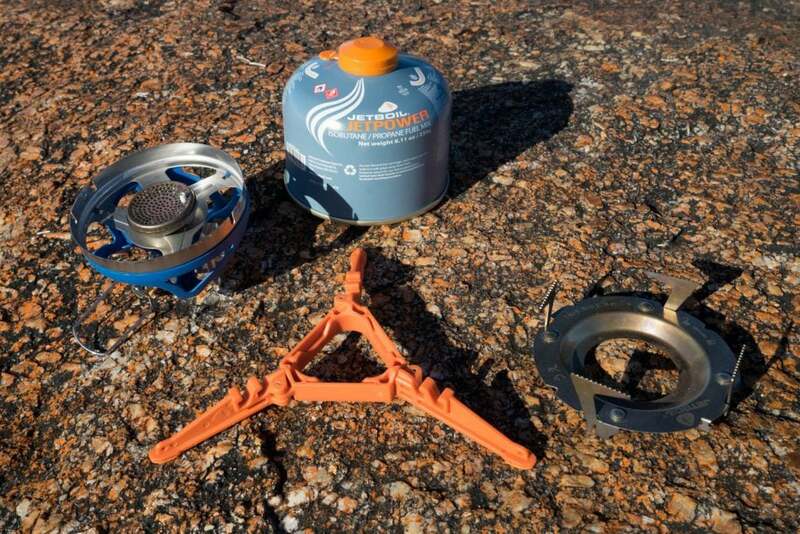 The MiniMo Cooking System comes with the burner, stabiliser and one litre pot. 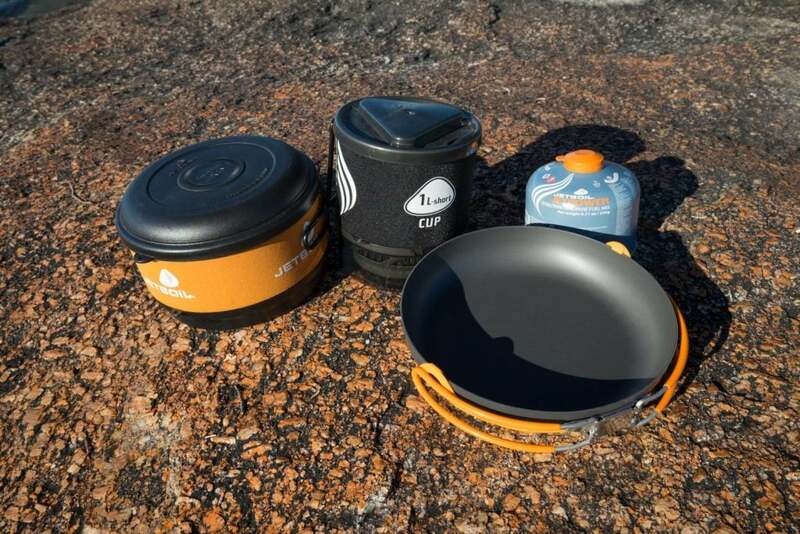 There are a variety of accessories including pots and fry pans, pot supports and three sizes of fuel canister to expand the versatility of this stove. 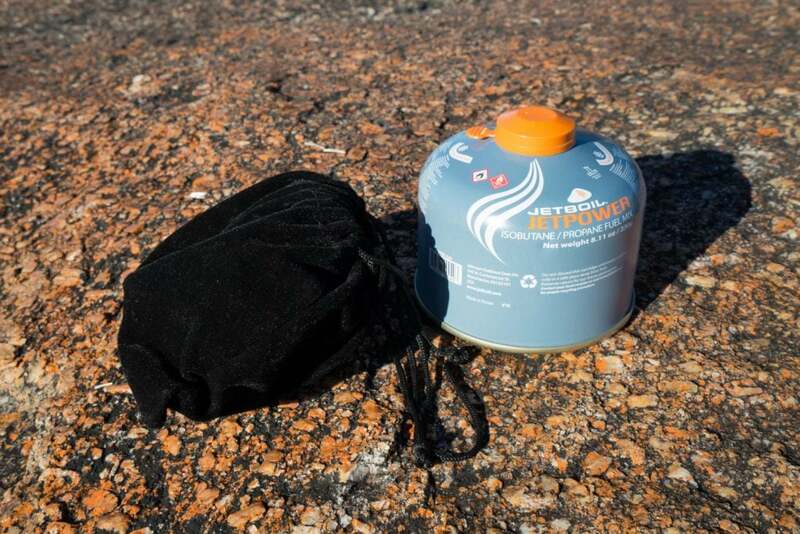 The one litre pot clips straight into the burner without the need for the additional pot support. 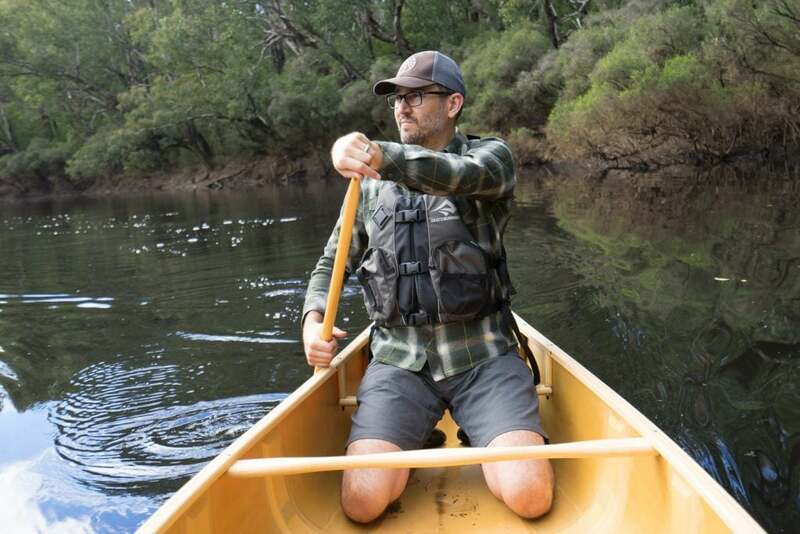 The neoprene sleeve around it’s body is an insulator and helps with speed and gas efficiency. The optional coffee press attaches to the lid making a great plunger with minimal additional bulk. 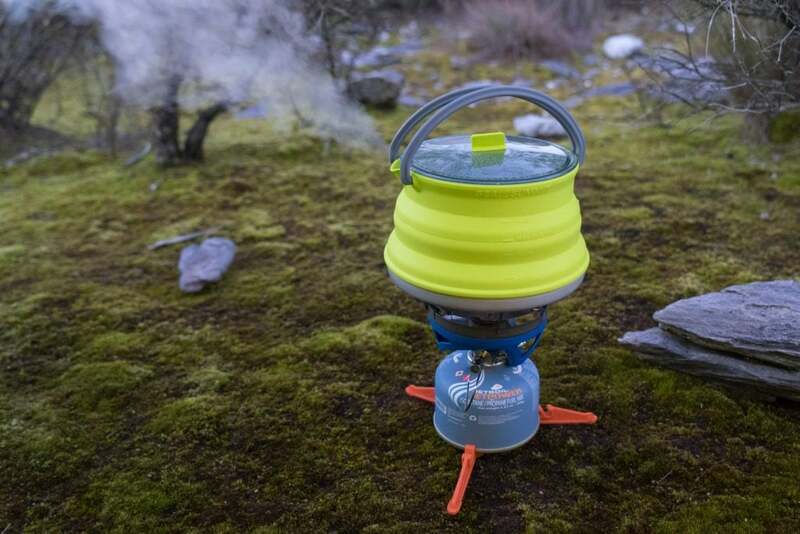 All Jetboil pots have a Fluxring welded to their base. 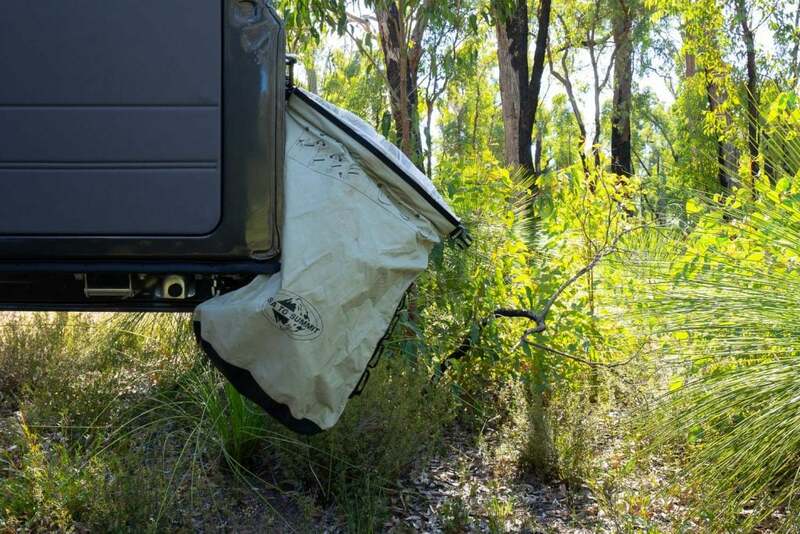 This dramatically increases their heat capturing surface area and is a key to the stove system’s effectiveness. With a push of the piezo igniter the stove springs to life and with a turn of the gas control the optimum temperature is always at hand. The inbuilt metal handles are sturdy and makes pouring and stirring a breeze. 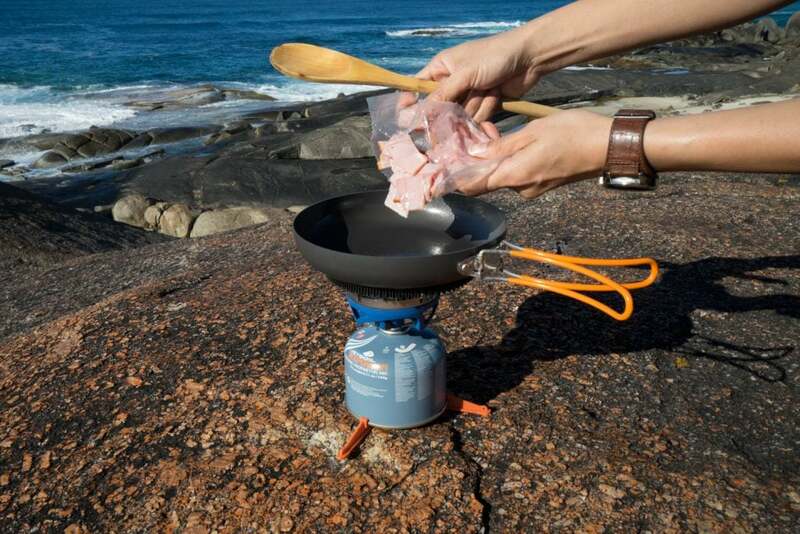 With the pot support fitted, the MiniMo works well with the Jetboil fry pans and cooking pots, or almost any pot for that matter. 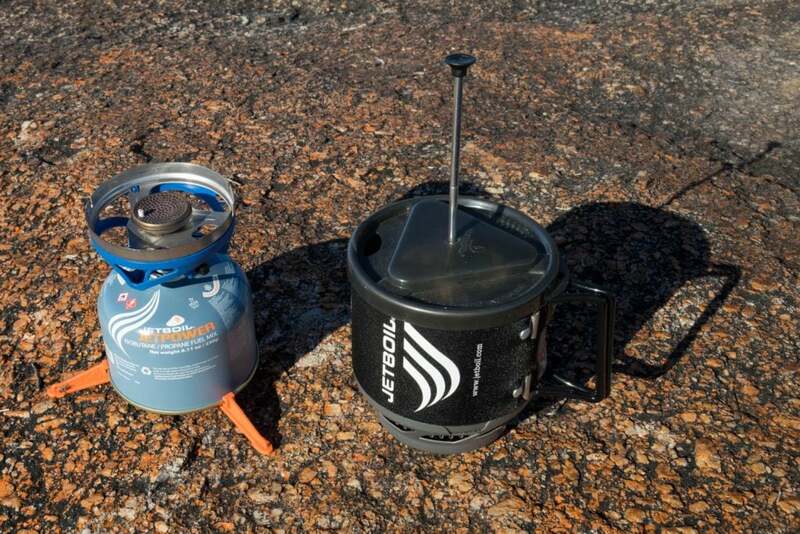 The stabiliser fits to all Jetboil gas canisters and makes the stove stable on most surfaces. 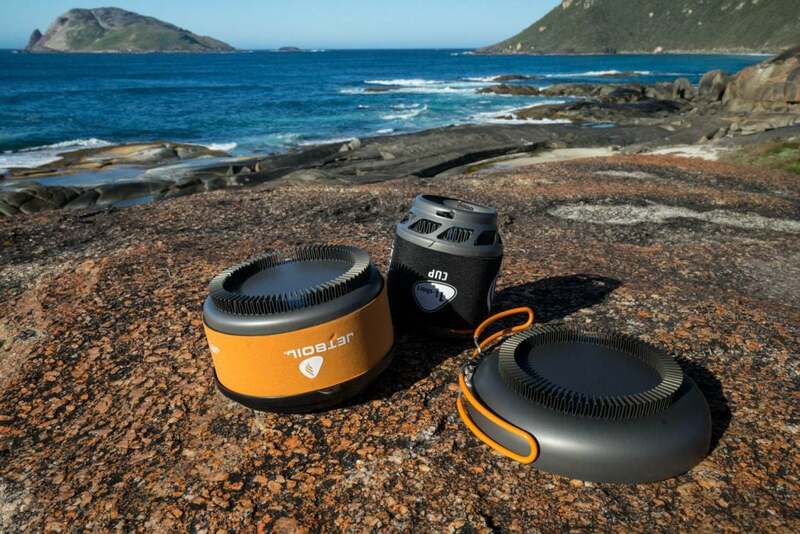 The MiniMo is a great system for hiking. 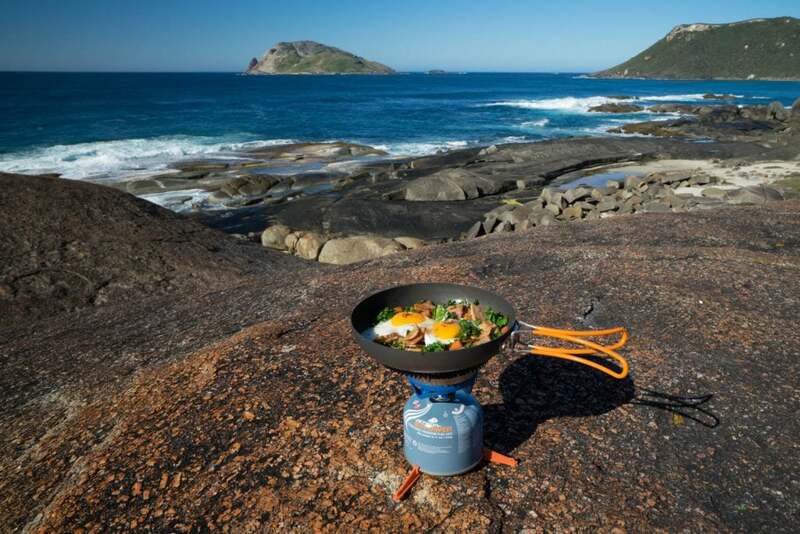 Being so portable and easy, we’re using it for more and more of our meals when we are camping with the 4×4 as well – it’s hard to beat a meal with a view!